I worked in algebraic geometry from 1959 to 1982. All my papers in this field have been published by Springer-Verlag in two volumes, (a) Selected papers on the Classification of Varieties and Moduli Spaces , and (b) Selected papers II, on Algebraic Geometry including Correspondence with Grothendieck . I am linking this web site to my personal scans of my personal reprints of most of these papers for only non-commercial use. All these links are in the pdf file AllAGPapers. The first of the Springer books also contains very useful commentaries by David Gieseker, George Kempf, Herbert Lange and Eckhart Viehweg which I have not scanned nor have I scanned Grothendieck's letters to me which appear in the second volume. I spent some time writing introductory texts for first year graduate students. Each time I lectured, however, I revised my outline and the whole thing was never completed. What was published is the first draft on schemes in general (the "Red Book") and the first volume of the full work on classical algebraic geometry. 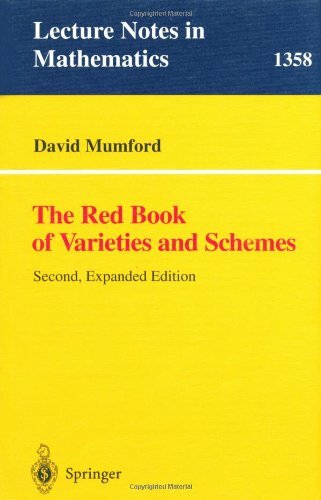 The Red Book of Varieties and Schemes , mimeographed notes from Harvard Mathematics Department, 1967, reprinted as Springer Lecture Notes in Mathematics 1348, 1988, enlarged in 1999 with contributions from Enrico Arbarello and including the Michigan Lectures (1974) on Curves and their Jacobians. 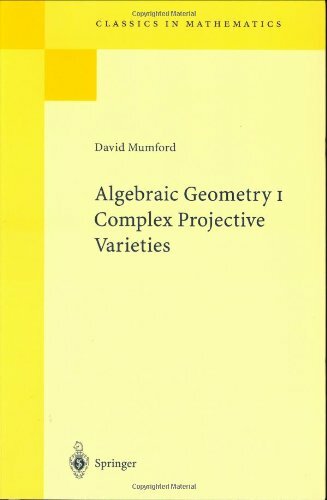 Algebraic Geometry I: Complex Projective Varieties, Springer-Verlag, 1976. However, thanks to a wonderful effort by Tadao Oda, we can now publish on this web site, for free distribution (just click on the red), a "penultimate draft" for the second volume (we do not anticipate an ultimate draft nor a third volume!). Tadao not only TeXed the old manuscript, added an index and made digital figures but added many results that both bring it more up to date and give it some substance. I am hugely grateful to him and hope this draft, though some 40 years old, is still helpful to some students. I divided my papers up into five categories - Moduli Spaces, Abelian Varieties, Curves and Surfaces, Particular Examples and Diverse. There is some overlap, e.g. moduli of curves is not in the curves section and moduli of abelian varieties is not in the moduli section. Following a long tradition in classical geometry (seen clearly in the work of Coxeter), I have always loved finding new and sometimes exotic examples and have collected eight papers of this sort in the Examples section. Thanks to all my students who treated me to a sail on an America's Cup boat on my retirement — its sail is the background of this page. 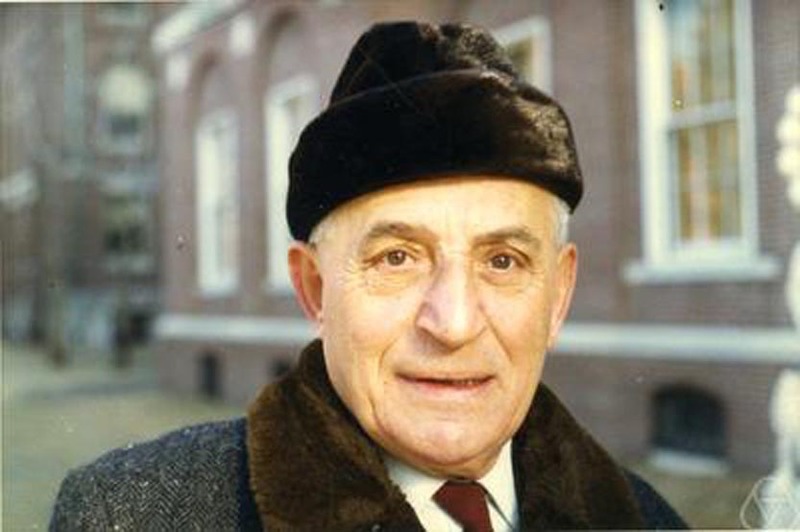 Below, a photo of my mentor, Oscar Zariski, whom I was very lucky to count as my PhD advisor. His personality and his life were as extraordinary as his research. His life is described beautifully in Carol Parikh's biography The Unreal Life of Oscar Zariski, Academic Press, 1990. I added a "Foreword for non-mathematicians" to this book in an attempt to give a non-technical description of what algebraic geometry is all about for lay readers. Together with Shreeram Abhyankar and Joseph Lipman, we wrote some appendices to the second edition of his book Algebraic Surfaces, Springer Verlag, 2nd edition, 1971.